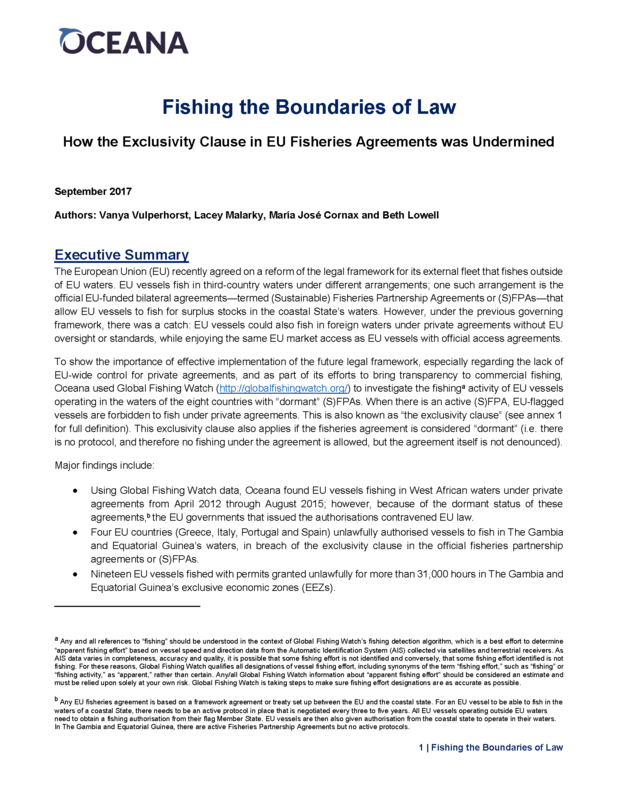 This report highlights unlawful fishing activities, authorized by four European countries, in the waters of The Gambia and Equatorial Guinea between April 2012 and August 2015. 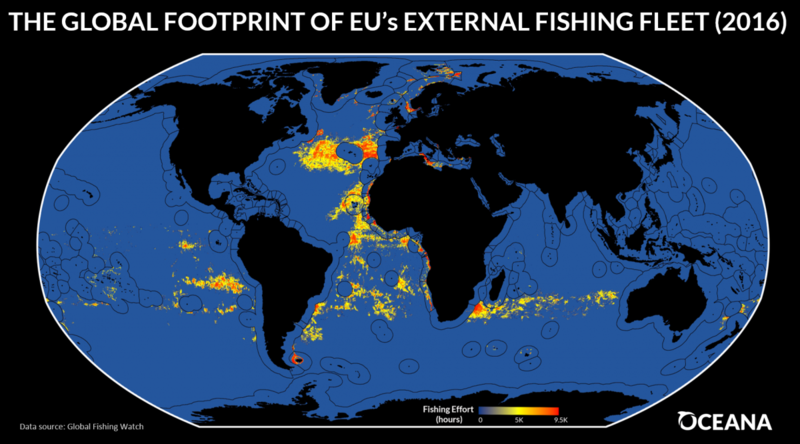 Using data from Global Fishing Watch, an online technology tool that provides the first global view of commercial fishing activity, Oceana found that Greece, Italy, Portugal and Spain granted private fishing authorizations, which gave individual vessels access to these waters in contravention of EU law. 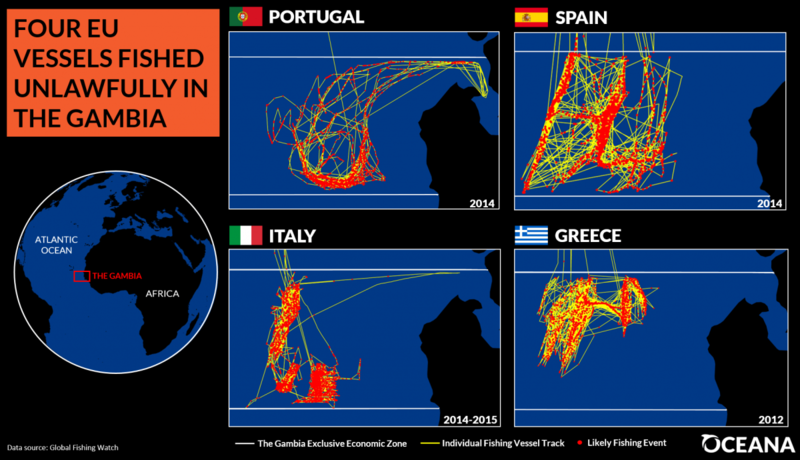 18 EU-flagged vessels from Greece, Italy, Portugal and Spain fishing in the waters of The Gambia for 31,706 hours. 1 EU-flagged vessel from Spain fishing in the waters of Equatorial Guinea for 170 hours. The future health of the ocean depends on a global approach to conservation and management. Oceana urges countries with distant water fleets to adopt legal frameworks that standardize fishing activities of all vessels fishing outside those countries' waters. The European Union has such a framework forthcoming, and other countries should follow suit. 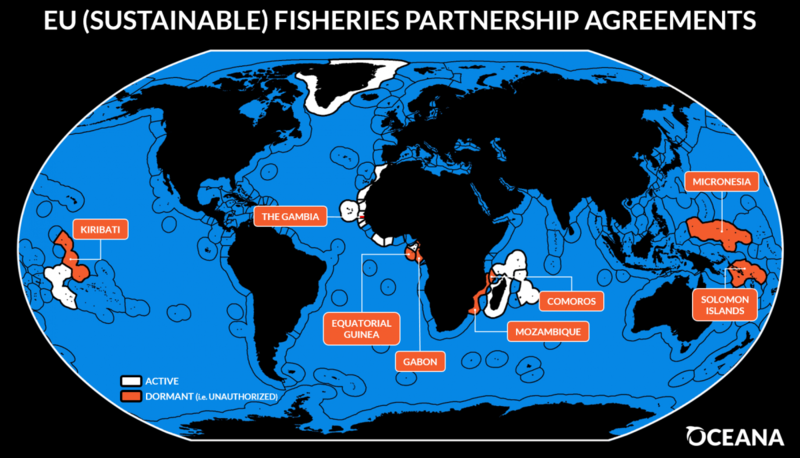 Transparency, accountability and sustainability are the most effective tools to eradicate IUU fishing from the world’s oceans, and innovative technologies like Global Fishing Watch can increase the transparency of fishing activities around the world.